Looking for a way to connect LED cube lights without removing your factory fog lights or installing a separate wiring harness? Now available is a plug-n-play solution from Starkey. 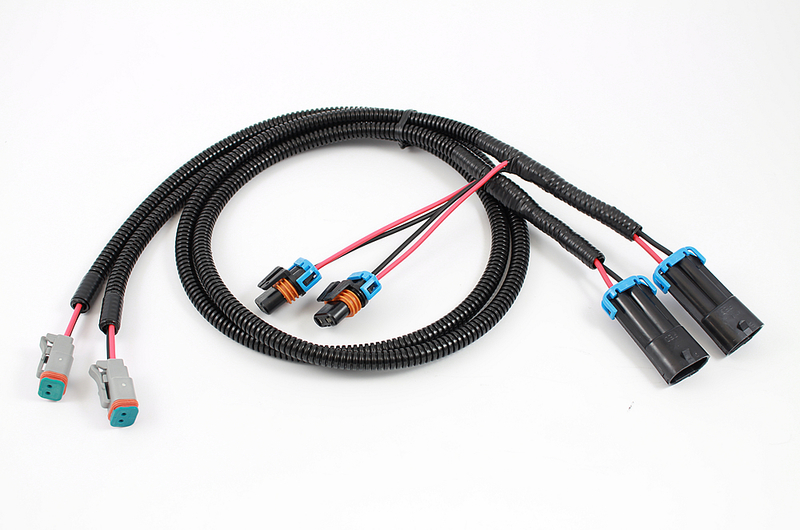 This wiring adapter will connect Deutsch 2-pin connectors to your factory fog light wiring without the need to disconnect your factory fog lights! Skip the hassle of installing a separate wiring harness for LED cube lights with these simple adapters! Adapter connects to factory H10 bulb and splits into H10 connector/ Deutsch DT Series 2-pin connector. 40 inch adapters give you flexibility in mounting your LED lights. Works with virtually all aftermarket LED cube lights drawing less than 2.5 amps per light. Off-road use only.